Nearly 80 years ago, biologist Carl Kauffeld claimed to have heard a new species of frog croaking outside New York City. His discovery fell on deaf ears. Until now. With the aid of genetic and bioacoustic tests, scientists at Rutgers University have confirmed that Kauffeld's frog is, in fact, a previously unknown species. In 2009, biologist Jeremy Feinberg, a graduate student at Rutgers University, heard an unusual frog croak on Staten Island. It was a cluck, rather than a chuckle, as the New York Times noted in 2012. 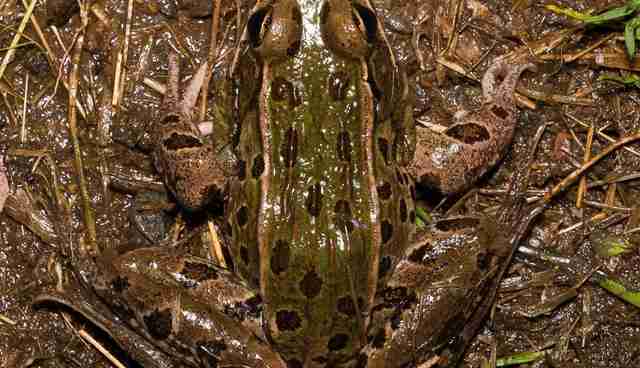 As word spread about a possible new type of leopard frog, more and more signs pointed toward the frog's existence along nearly 500 miles of the eastern seaboard, from North Carolina, across the Mason-Dixon line, up to Connecticut. "The discovery of a new frog species from the urban Northeast is truly remarkable," Feinberg says, "and completes a journey that began six years ago with a simple frog call in the wilds of New York City." 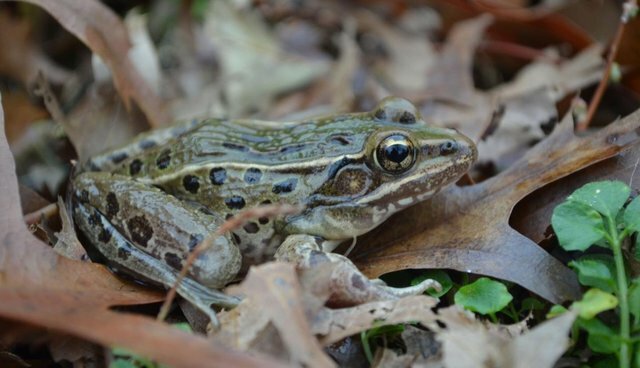 The animal will commonly go by Atlantic Coast Leopard Frog, but his official moniker, Rana kauffeldi, is in Kauffeld's honor, researchers announced Wednesday in the journal PLOS ONE. "After some discussion, we agreed that it just seemed right to name the species after Carl Kauffeld," says Feinberg, in a statement. "We wanted to acknowledge his work and give credit where we believe it was due even though it was nearly 80 years after the fact."